Wir haben leider keinerlei Informationen über den Schlüssel erhalten. We where 3 couples for a weekend and had a great time. We came in late and recived the key as promised from the doorman. The appartement was as expected from the pictures and info. Great location :-) Recomend this appartement . Great location and great appartement that worked well for us (six persons). 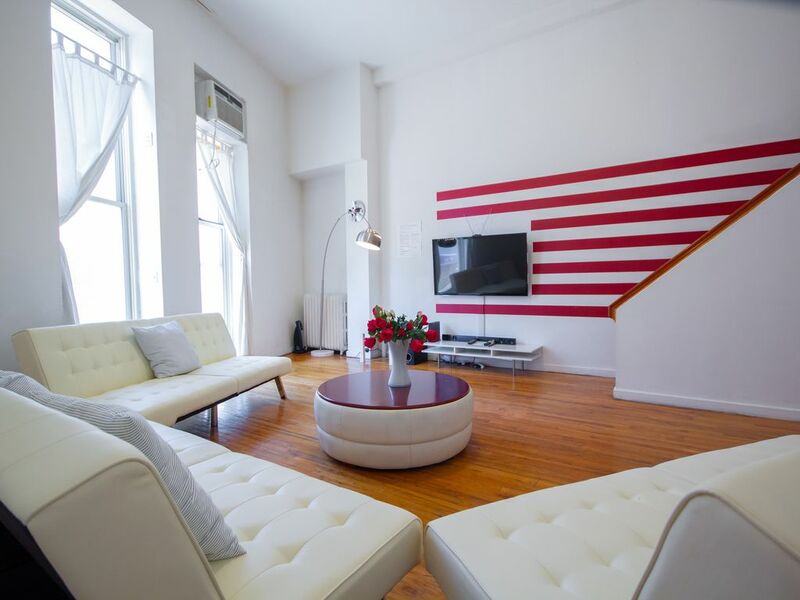 Location was perfect for us, close to Penn station and Subway, walking distance to shopping and restraurants. Office is very helpful and friendly! We asked for extra towels and luggage storages and they were more than happy to provide. If I have a chance to talk to owner, I would say if he could provide some napkins and tissue boxes will be great! Only one toilet is a problem for 6 girls in the morning. Bathroom could provide some extra room to hang clothes. Again, this is a extra improvement and we are happy with our stay and would love to rent again in the future!